The latest issues of AESS publications are in the mail and are retrievable now from IEEE Xplore, the IEEE online digital library. All subscribers can access the online edition by clicking on the magazine covers below and using their IEEE Account. The IEEE Aerospace and Electronic Systems Magazine (M-AES) is a monthly magazine that publishes articles concerned with the various aspects of systems for space, air, ocean, or ground environments as well as news and information of interest to IEEE Aerospace & Electronic Systems Society members. Our goal is to inform the readers of technologies, state of the art, design trades, etc. so that they will gain insights into a field heretofore unknown to them. We want to introduce technical specialties to readers in the hope that something in the articles will give them some insight for their own fields of endeavor. IEEE Transactions on Aerospace and Electronic Systems (T-AES) focuses on the organization, design, development, integration, and operation of complex systems for space, air, ocean, or ground environment. These systems include, but are not limited to, navigation, avionics, spacecraft, aerospace power, radar, sonar, telemetry, defense, transportation, automated testing, and command and control. We welcome suggestions from members on how the AESS can improve. Please let us know what they are and we will respond to you. For assistance with the application, please contact Wolfgang Koch or George Schmidt. I am happy to share with you this second edition of the QEB for 2018 featuring a number of inspiring articles. 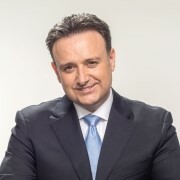 In particular, it includes the message from the newly-elected AESS President, Dr. Joe Fabrizio, which clearly reveals his thoughtful perspective on our Society and provides an overview of the many activities running in it. I am pleased to announce the creation of a new section entitled "The story behind a success" dedicated to young (or feeling young) AESS members that have been recently awarded or recognized by the Society. 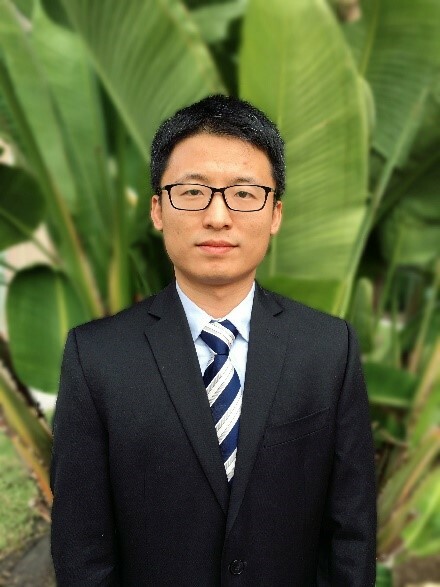 I invited Dr. Bo Li, the recipient of the 2017 Robert T. Hill Best Dissertation Award, to be the pioneer for this initiative by writing the first article for this new section. I believe that these success stories deserve the attention of all AESS members and could be an inspiration to many talented students and young professionals within the Society. In this regard, I urge all young AESS members to consider the opportunity to participate in the Mentoring Program, an initiative expressly dedicated to each one of you (details are provided below and on the AESS website). Also I encourage those who have been recently awarded the Ph.D. degree to have a look to the Call for Nominations for the 2018 Robert T. Hill Best Dissertation Award. It could be your turn next! Finally, have a look to the many opportunities reported in this QEB edition that includes special issue announcement, call for nominations for AESS Awards, upcoming conferences and related deadlines, and ads for open positions. I re-extend the invitation to work collectively to make content of the Newsletters both useful as well as timely! I'm very honoured to have been elected President of IEEE AESS for 2018-2019. To better serve our members and the wider AESS community, the Society has matured several new initiatives over the last two years, such as the new AESS Resource Center, new international Chapters, forming the Navigation Systems technical panel and growing the AESS Professional Networking and Mentoring Program. The AESS has a worldwide scope: we aim to be relevant to people in all countries, and we seek to establish new AES chapters in new countries. The future of the Society is inspired by its core purpose to best serve the most valued requirements of the AESS community. Member feedback has highlighted several areas where the AESS can move from "good to great." Our strategic plan includes new initiatives to expand and strengthen relations with Industry, where we have the largest percentage of members than in any other IEEE Society. It also places emphasis on new initiatives to attract and retain younger members, reinvigorating Chapter activities, and offering targeted education and training opportunities to fulfil the professional development needs of the AESS community. As we continue to improve existing services, we will deliver new offerings that provide greater advantages to members in the areas of publications, chapter activities, conferences, industry relations, education, technical operations and others. The cornerstone themes of our strategic planning are to be more innovative and collaborative and to deliver valued outcomes to the AESS community through deeper member engagement in a more connected Society, and you should start to see the results of this plan over the coming months. The AESS Board is responsive to member input and we would be pleased to know the professional development or other activities that would be most valued by the AESS community in your area at this time. Expanding the membership of AESS is an aspiration that we can share, so please do your part in spreading the message and recruiting new members. It is a privilege for me to serve as your President. I look forward to meeting as many of you as possible in person. As the recipient of the 2017 Robert T. Hill Best Dissertation Award, it is my great pleasure to share my stories of the dissertation journey with the AESS community. 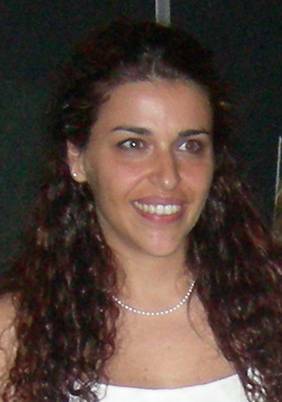 I would like to take this opportunity to thank my advisor Professor Athina Petropulu. Without her encouragement and support, this dissertation could not be finished. My sincere thanks and appreciation go to my co-author Professor Wade Trappe, and my dissertation committee members Professor Waheed Bajwa, Professor Vishal Patel, and Professor Hongbin Li, for their invaluable input. In my dissertation, entitled "Topics in MIMO Radars: Sparse Sensing and Spectrum Sharing," two fundamental research problems related to multi-input-multi-output (MIMO) radars are investigated. The first is sparse sensing, which is aimed to substantially reduce the amount of data that need to be collected by MIMO radar systems, while ensuring high target detection and estimation performance. Professor Petropulu, my advisor, and alumni from our group are pioneers in successfully applying compressed sensing to MIMO radars. I was lucky to join the group at the cutting edge of the field. Professor Petropulu had a clear view on the next big thing, MIMO radars with sparse sensing. All members of our group had great passion in that particular topic. We had countless rounds of whiteboard discussions and sometimes even debates. Some ideas were proposed, discussed, refined and finally published, while many others were discarded. My dissertation developed a theoretical framework based on compressed sensing, and established results on performance guarantees and low-complexity signal recovery approaches for MIMO radar with co-located or distributed antennas. The work pushed the envelope in sparse sensing based MIMO radars further by standing on the shoulders of giants. The second problem considers cooperative spectrum sharing between radar and wireless communication systems using advanced MIMO techniques. The work needed a reasonable radar-communication co-existence model. To achieve this, I reached out to Professor Trappe, who is a distinguished researcher in wireless communication and spectrum management also from Rutgers University. Professor Trappe gave us invaluable input from a practical perspective, based on which my work on radar-communication spectrum sharing was founded. After our work was published and presented at the annual Radar Conference, we received many good comments and advice, which helped us improve the proposed framework to its current shape. To summarize, I would attribute the success of my dissertation to two aspects: cooperation with my advisor and group mates, and proactive outreach to colleagues in the community. Hopefully, the sharing of my two cents could shed some light for students and young researchers and engineers on the same journey. 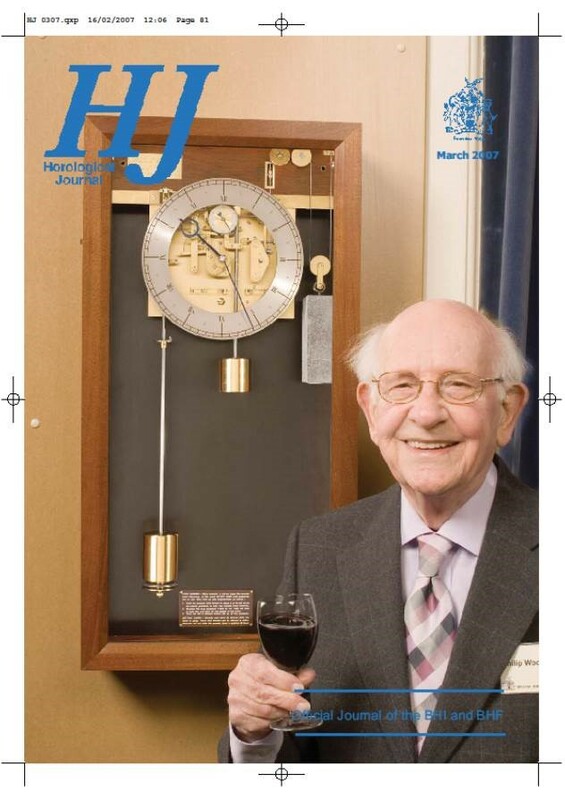 Philip Mayne Woodward, aged 98, was a British mathematician, pioneering radar engineer and world-renowned horologist. 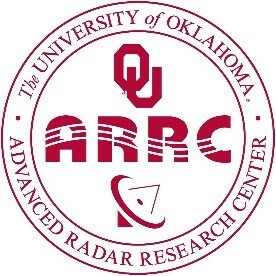 The Advanced Radar Research Center (ARRC) at the University of Oklahoma (OU) is currently seeking several graduate research assistants and two full-time engineers. The ARRC is growing rapidly with over 120 faculty, students, post-docs, and professional staff, and is housed within the new Radar Innovations Laboratory on OU's research campus. The ARRC is dedicated towards end-to-end radar development - spanning prototype development, signal processing, and data interpretation. 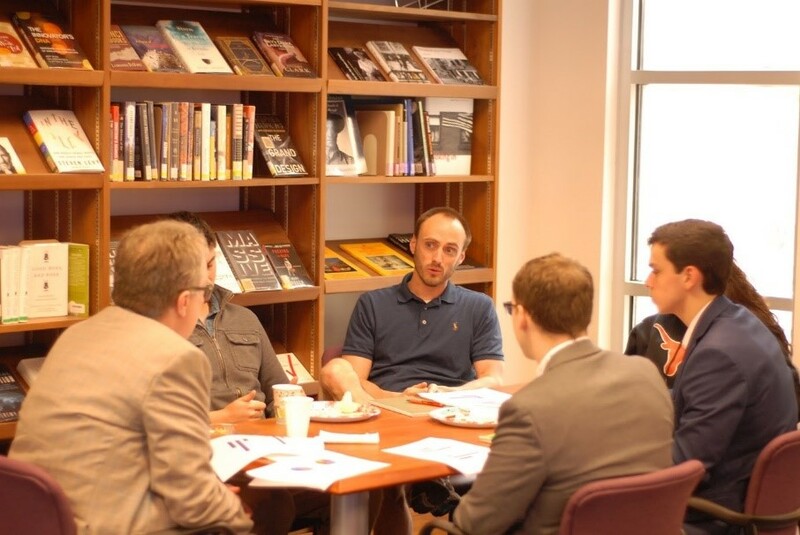 Information on faculty members' specific research interests are available on the ARRC website. Graduate students will receive a nationally competitive stipend (plus tuition waivers). Opportunities also exist for technical conference participation, industrial/government internships, and fellowships (in addition to stipends). Applicants are invited to apply today. The ARRC's engineering positions provide competitive, full-time salaries. See Job Numbers 173501 and 173502. OU is a Carnegie-R1 comprehensive research university and enrolls over 30,000 students. Norman is a culturally rich town located near the Oklahoma City metro area. With outstanding amenities and an easily affordable cost of living, Norman is a perennial contender within the "Best Places to Live" rankings. Senior Membership is the highest grade for which application may be made and shall require experience reflecting professional maturity; a candidate should be an engineer, scientist, educator, technical executive, or originator in IEEE-designated fields in professional practice for at least ten years and shall have shown significant performance over a period of at least five of those years. 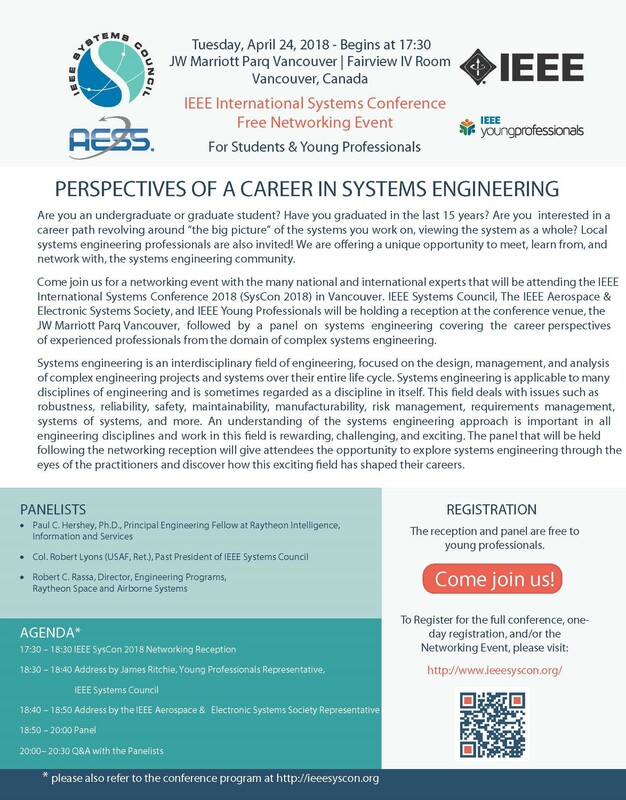 For more information, go to the IEEE Senior Membership section of the IEEE website. Visit our website to view the complete list of our 2018 Senior Members. 2018 marks the beginning of the second year of this innovative AESS program that helps connect students and young professionals with more experienced AESS members for two-way exchange. This program has been a great success. In 2017 we registered 28 new mentees into the program, matching 15 with a mentor, with 9 in the process of being matched. Our vision is a flexible international program that is carefully implemented, attentively supported, and singularly focused on providing benefits to AESS members. We have an excellent core of distinguished international members distributed across industry, academia, and government, who are experts in their field and who are willing to share their time and experience to develop future leaders within the AESS. More information is available on the AESS website. Mentors and mentees, it is easy to sign up for the program. Join us today! The Central Texas Chapter met on Friday, 23 February 2018 to celebrate Engineers Week with an interesting and entertaining talk on "Systems Engineering - The Wright Way" by Ron Mathis, who is a Senior Program Manager at Southwest Research Institute. Following the meeting, several student leaders from the Kappa Upsilon (KU) chapter of IEEE-HKN at the University of Texas at San Antonio stayed for a meeting with their industry advisor, Walt Downing, Executive Vice President of the Aerospace and Electronic Systems Society, who is also the Executive Vice President and Chief Operating Officer of Southwest Research Institute. The group discussed plans for increasing member engagement in IEEE-HKN by leading activities that provide value to students. For several years, the KU chapter has conducted soldering workshops for students taking an electrical engineering course that requires students to build their own microcontroller circuit boards. After conducting a survey of member interests, the students decided to organize an interest group to help students learn to use the Python programming language. They are also evaluating the possibility of organizing study groups to help students prepare for the fundamentals of engineering exam that is required for professional engineering licensure. AESS Members! Take advantage of the AESS Resource Center! This is a one-stop shop for AESS Video Tutorials, online Systems Magazine, and other resources. George Schmidt recently gave his Distinguished Lecture on "Navigation Sensors and Systems in GNSS Degraded and Denied environments (Or How I learned to Stop Worrying About GPS)" in several locations. The trip was initiated by the AESS Bangalore Chapter Chair G. Viswanathan and the lecture was given at the Indian Institute of Science. 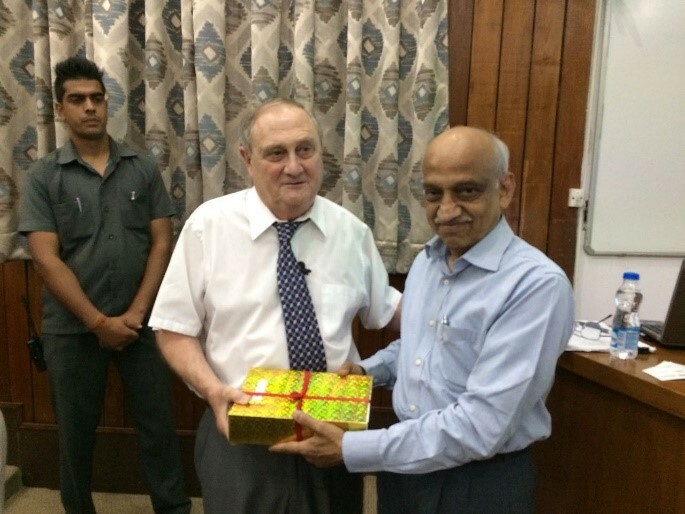 George is pictured in the middle receiving a welcoming gift from Sri A. S. Kirankumar, Chairman, India Space Research Organization (ISRO). Lectures were later given in the Delhi area at Manav Rachna International University and Amity University, Noida and arranged by Dr. S. S. Tyagi, Computer Society Chair, Delhi Section. Prior to arriving in India, George gave his lecture at the Technical University Delft, organized by Mark Bentum, AESS Benelux Chapter Chair; at the Worclaw University of Science and Technology, W. Krzysztofik , Chair APO3/AES10/MTT17 Joint Chapter; and the Warsaw Institute of Technology, J. Misiurewicz, organizer. 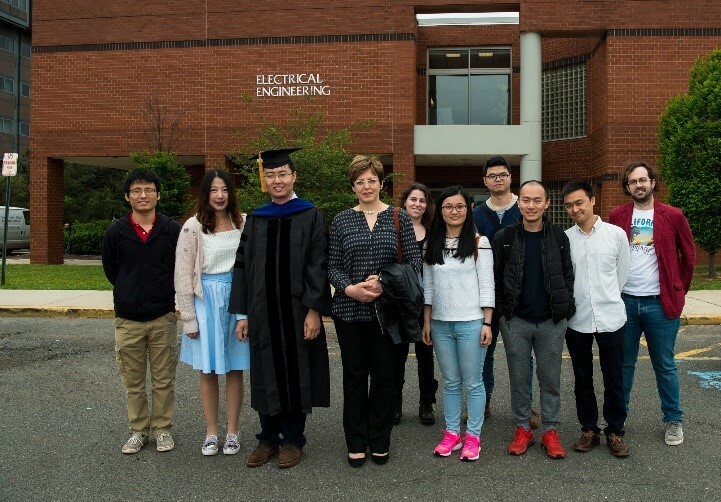 The AESS Engineering Scholarship recognizes students pursuing studies in Electrical Engineering at the undergraduate level, and systems engineering at the graduate level. The prize is US$5,000 for both the Undergraduate and Graduate levels. For more information, please see the AESS website. The M. Barry Carlton Award acknowledges what is judged the best paper in the AES Transactions in each calendar year. In 1957, a year after his death in an air accident, M. Barry Carlton's friends established the award as a means to honor a man who had dedicated much of his life to promoting the reliability of communications equipment, especially that relating to air transportation. It is one of the IEEE's oldest awards and supports a wonderful tradition of excellence. For more information, please see the AESS website. Technical Operations is responsible for oversite of the Technical Panels for the AESS Board of Governors. The panels hold multiple meetings per year throughout the world, typically where conferences relevant to their technical interests are taking place. Creation of IEEE standards and support of IEEE Conferences are the major thrust of technical panels. Each panel operates under its own charter and bylaws. Be sure to click the appropriate Technical Panel button above for more information on that panel. Please contact George Schmidt, VP Technical Operations, the Technical Panel Chairs or any member of the Board of Governors if you're interested in participating in the work of a technical panel. Call for Papers - IEEE Aerospace and Electronic Systems Magazine – Special Issue on Selected Methods and Techniques for Intelligent Systems for Space. 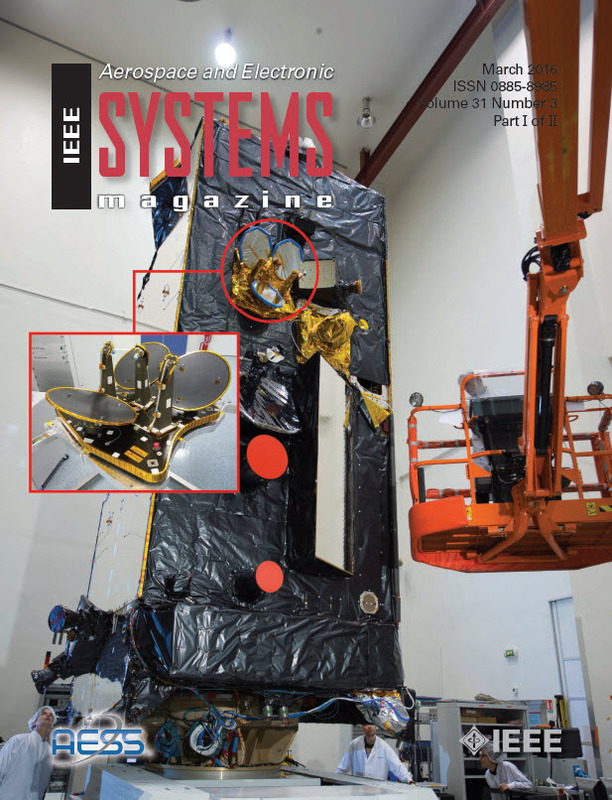 The IEEE AES Systems Magazine published the second part of the Special Issue on CyberSecurity in Aerospace Systems in the February issue and the HF Radar Special Issue in March. 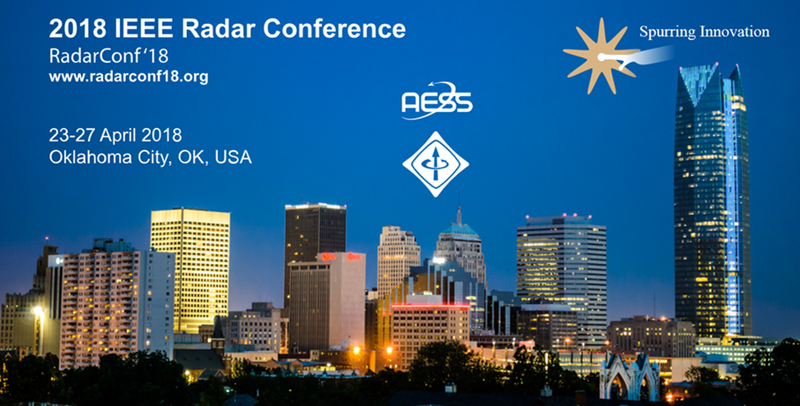 The 2018 IEEE Radar Conference (RadarConf'18) is coming up! It will be held from 23-27 April 2018, at the Renaissance Oklahoma City Convention Center Hotel and Cox Convention Center in Oklahoma City, Oklahoma, USA. Remaining rooms in the conference room block are quickly disappearing – please make your hotel reservations today! A draft of the lecture and program schedules is available at the technical program link on the conference website. The Women in Engineering Luncheon is an option during registration. There is no cut-off because we have plenty of space. Information about conference-organized tours, places to visit, the social program, and opportunities for spouses are being posted. Please check the website consistently for details! Presentations by the student paper finalists will be on Monday, 23 April at 5:00 pm. Presenter and poster instructions: see the conference website for presentation details. Student travel information: applications are due by 1 April to Dr. Bill Dower, billdower@ou.edu. Please consult the conference website for details. The IEEE AES Society Radar Summer School will be held in conjunction with the 2018 IEEE Radar Conference. The purpose of Radar Summer School is to present a variety of radar topics at the basic level (University upper-class undergraduate, Masters or early PhD), to give a conceptual understanding of key radar concepts. Please check the conference website for additional information as it becomes available. PLANS 2018 will be held 23-26 April 2018 at the Hyatt Regency Monterey in Monterey, CA, USA. The 5th IEEE International Workshop on Metrology for AeroSpace will be held 20-22 June 2018 in Rome, Italy. The 2018 IEEE AUTOTESTCON will be held on 17-20 September 2018 at the Gaylord National Convention Center in National Harbor, MD, USA. The 37th Digital Avionics Systems Conference (DASC) will be held 23-27 September 2018 in London, England, UK. The 2018 Integrated Communications, Navigation, Surveillance Conference (ICNS) will be held 10-12 April 2018 in Herndon, VA, USA. For more information, visit the conference website. The 2018 22nd International Microwave and Radar Conference (MIKON) will be held 15-17 May in Poznan, Poland. For more information, visit the conference website. The 2018 International Conference on Integrated Navigation Systems (ICINS) will be held 28-30 May 2018 in Saint Petersburg, Russia. For more information, visit the conference website. The 2018 19th International Radar Symposium (IRS) will be held 20-22 June 2018 in Bonn, Germany. For more information, visit the conference website. The 2018 International Conference on Information Fusion (FUSION) will be held 20-22 June 2018 in Bonn, Germany. For more information, visit the conference website. The 2018 International Conference on Radar (RADAR) will be held 27-30 August 2018 in Brisbane, Australia. For more information, visit the conference website. The 2018 DGON Inertial Sensors and Systems (ISS) Symposium Gyro Technology will be held 11-12 September 2018 in Braunschweig, Germany. For more information, see the CFP. The 2018 International Carnahan Conference on Security Technology (ICCST) will be held October 22-25, 2018 in Montreal, QB, Canada. For more information, visit the conference website. 2006 International Waveform Diversity & Design Conference has been posted to the IEEE Xplore digital library effective 22 March 2018. This older conference was not an IEEE conference, but now it is, so the papers can now be accessed in IEEE Xplore! View the full list of technically co-sponsored conferences on our website. Have a conference you'd like advertised in the AESS Quarterly Email Blast? Contact Judy Scharmann at j.scharmann@conferencecatalysts.com for details on how to have it included. Copyright 2018 IEEE - All rights reserved. Use of this newsletter site signifies your agreement to the IEEE Terms and Conditions.